Are you a driver by profession or do you work in passenger carrying industry? Then you must be aware of the fact that to drive a bus, coach and lorry you must hold a driver CPC license. 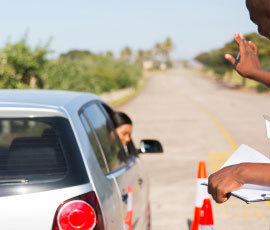 To get the license you must attend driver CPC training. If you are an existing driver and wants to pursue career in driving you must be aware of driver CPC training courses and rules to be followed. If you are searching for LGV (HGV) training and PCV training in and around Bracknell, London Dhoot Driving School offers safe and security training to the drivers at an affordable quote. Our training classes are specially designed keeping in mind about new professional drivers. Our main aim is to train the drivers and offer them knowledge and ability so that they can pass through the test and get the license as earliest as possible. Dhoot Driving School center in an around Bracknell, London are aware of the fact that the drivers are learners and they are always accompanied by professionally qualified drivers to teach them lessons. While searching to join HGV training courses in Bracknell, London you must keep in mind that you will be required to pass category C test before you attend C+E test. All the professional LGV drivers in addition to LGV vocational license, they must be aware of CPC driver training. 25% of cyclist in an around Bracknell die due to collision with LGVs. To have a rewarding career, you must be ready to work for longer hours and you would be required to stay away from home. Before joining courses you will be required to obtain provisional HGV license. It is mandatory to hold two years of driving experience and you must find an instructor around Bracknell, London who guarantees pass protection. You will also be required to pass HGV 2 before you become eligible to obtain HGV1. The main aim of Dhoot Driving School is to ensure that the drivers will help to reduce road causalities, once they provide training to the new students. Driver CPC module 4 and 2 are the initial qualification that has to be qualified by the drivers. New recruitment agencies are hiring drivers holding C1 license and C1 +E license to drive buses and coaches. The CPC certified drivers must be aware of licensing requirements and for any drivers to carry passengers must qualify CPC theory test and CPC case study. Once you qualify the test, drivers will be issued with qualification card which will be valid for 5 years and you have to keep it with you all the time whenever you are driving a vehicle. After completing initial qualification you must qualify 35 hours of periodic training each year. The training will enhance driver’s skill and you can keep your driver CPC status updated. 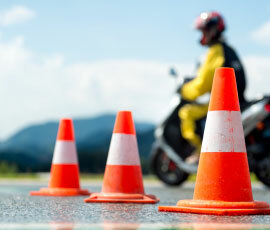 The practical test will make you confident to drive safely on the road and the driving test last for 90 minutes. For 10 minutes you will be required to drive independently. To get C up to 32 tones, you must show you can drive safely. You can take your instructor on your test and this can help you to pass the test next time if you fail the test. People feel nervous while taking driving test but you must remain positive and focus on the test rather than worrying about other things. If you pass the test, the provisional license will get changed to a full license. The examiner will also give you a feedback about your test. If you fail the test, the driving test report will be given to you showing the faults that you have made and you must listen carefully to the feedback so that you don’t repeat the same mistake next time. A class D license is required to operate passenger vehicle like D1 minibus, D automatic bus, D+E coach and trailer, D manual coach, D1 +E minibus and trailer. Class D license will help drivers to drive combination vehicles. The license will not permit you to drive school bus to transport children and will not permit you carry passengers more than 15. Dhoot Driving School center will provide you classes to get provisional category D license. To get the license you will be required to pass the theory test which will contain multiple choice questions and video clips. You will be required to understand the principles of driving large buses and coaches. Anyone who wants to pass the test must be above 21 years of age. You will also be required to undergo driver medical to get the license prior to attending theory test. To drive a trailer you will be required to hold the appropriate license.